Time to vacuum the rugs, clean the bathrooms, chill the beer, heat the food and set out the snacks. And that’s after the food shopping and cooking, finding the serving dishes, and setting up enough seating for everyone. And don’t forget the post-game cleanup: trash bags, carpet cleaner, room deodorizer, stain removers, laundry and dishwasher loads–and the realization that as host, you were too busy to really enjoy the game. That’s all assuming the TV is in working order, the electricity doesn’t fail due to a power outage, and no one causes a major scene by drunk-dancing naked on the dining room table, knocking over Grandma’s china closet and turning her dinner dishes to dust. Haven’t you arranged enough game day parties, dealt with enough guest-induced headaches and missed enough big plays? Why not party at the pub instead of your place? You’re not responsible for buying, cooking and preparing food. No worries about food safety due to under-cooked food or dishes left out on the table too long. No worries about running short on those chicken wings or premium beer, either. No lists to write or days of planning and cooking. You don’t need to move, buy or rent furniture to accommodate a crowd. And your friends—especially those with few culinary talents—will appreciate not being asked to contribute an appetizer to the potluck. Get your last grocery receipt that included all or even most of your game day paper goods, food and drink. Add up the costs, divide by the number of attendees and you know what you spent per person. Now go online, look at the pub’s menu and price the offerings. You’ll find their game-day fare usually costs less, not more, than buying everything yourself. 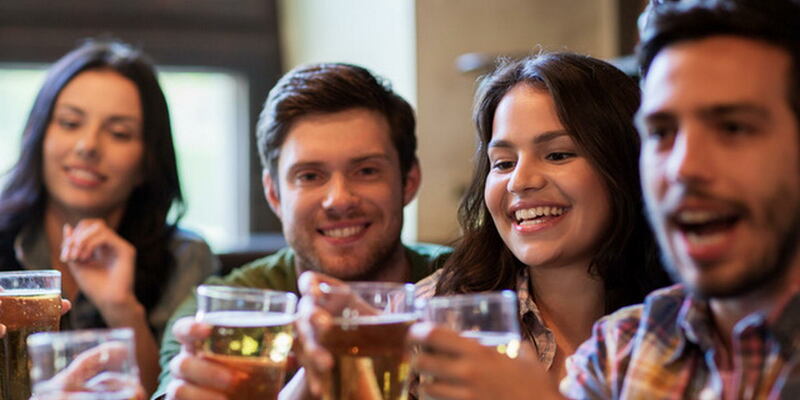 The pub supplies everything and, unless you have the intention of covering everyone’s tab, your friends will likely expect to pay for their own food and drinks. Pubs also offer game-day food and drink specials, so everyone wins while you’re busy cheering on your team instead of refilling the cooler and bowls of snacks. You’re not stuck in the kitchen, reheating mac and cheese, or out on the porch flipping hamburgers. No cellphone distractions from lost guests looking for your house, or your thoughts drifting to the leaking guest bathroom toilet or someone accidently letting the cat outside. And unless you love vacuuming snack fragments out of your furniture, and cleaning up leftover food and dishes (“yay fun,” said no one ever), the pub is the answer to your game-day prayers–with the exception of not being able to guarantee your team will win. No one is parking on your lawn or the neighbor’s lawns—Gladys, the crazy gardener next door, isn’t going to knock on your door mid-game, losing her shizzle over tire-crushed petunias. And the noise generated by every score does not result in the neighbors threatening to call the local authorities. 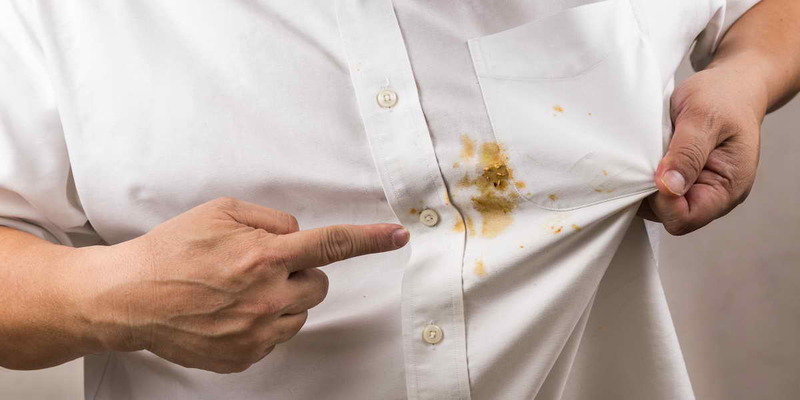 Not to mention post-game clean up, trash bags and stain removal options… None of this worries you when you head to the pub for game-day festivities. The choices–while plentiful–are not endless at the pub, and this is a good thing. A varied menu makes planning easier, and guests are not upset with you for failing to provide for their dietary needs or preferences—let the pub cater to David’s gluten-free requests, John’s ‘everything must contain meat or I’m not eating it’ demands and Jenna’s pescatarian preferences. A pub menu offers plenty of options to suit just about everyone. And with sufficient notice, most pubs are willing to provide some flexibility in their menu preparations. Yates Street Taphouse & Grill offers 25 big-screen TVs featuring all sports, all day. Our menus feature plenty of pub-fare options including delicious Taphouse pizzas & share-plates, burgers, soups, salads, classic pub fare, light appetizers and daily specials. And if you haven’t experienced them yet, order our Panchos! They’re like nachos, but with a carnivorous kick! You’ll love our 1.5 Litre Beer Towers and Big Bud Mugs during the game, and with forty beers on tap, along with local and international brews and cocktails, we’ve got an ale for every one of your buddy’s discerning tastes. The Taphouse is a classy yet comfortable and casual atmosphere located in the heart of downtown Victoria. We’re proud of the continuous 150 years of tradition in the service industry, and while we’ve modernized a few things, we maintain our ideals: cold beer and delicious pub-fare in a historic pub setting. 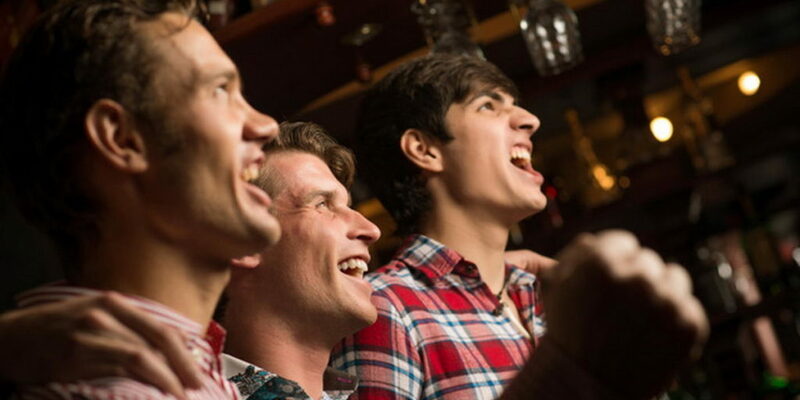 So, while your buddies may not agree with what team you think is going to win, they’ll certainly approve of your decision to bring them all to the Taphouse on game-day.